The solid-state hard drive records video, audio, and GPS location. At the station, download data to the server – wirelessly, or over a wire. 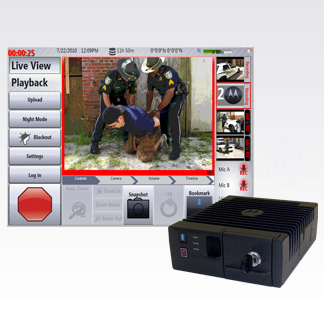 Video, audio, and data streams can be reviewed or exported as evidence. Correlate video from multiple cars –&amp;nbsp;or&amp;nbsp;with additional software, integrate&amp;nbsp;fixed-video feeds&amp;nbsp;and audio logs&amp;nbsp;to&amp;nbsp;reconstruct an incident,&amp;nbsp;minutes or months after it occurs.